You could save up to £259 per year on gas and electricity even if your bills are protected by the energy price cap, Which? research reveals*. On 1 January 2019, the price cap came into force, limiting the amount which energy companies can charge those on default deals (those which customers haven’t actively chosen). Many energy firms have had to lower the price of their default deals as a result. 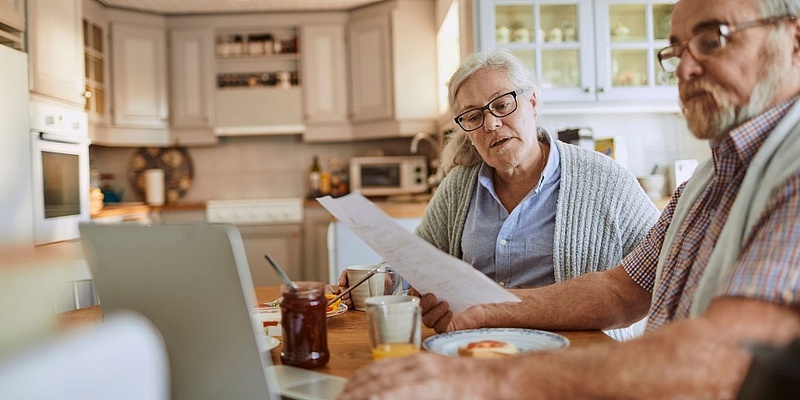 Many of the biggest firms, including Economy Energy, Eon, First Utility, Green Star Energy, Npower, Ovo, Scottish Power and SSE, are now charging customers who use a medium amount of energy £1,137 per year – the maximum they’re permitted to charge under the price cap. But even if the price cap has cut your bill, you can still save money. In total, there are 134 tariffs on sale which are at least £20 cheaper than the cap per year for a medium user. However, there are just 12 deals which cost £1,000 per year or less, so you’ll need to search carefully for a cheap energy deal. Read on to see the top five cheapest tariffs and find out how much you could save compared with the price cap. Or get started and compare gas and electricity prices using Which? Switch to find the best energy deal for you. The cheapest energy deals for January, which are available across England, Scotland and Wales are a guide to what you could be spending in a year on gas and electricity. They’re based on someone who uses a ‘medium’ amount of energy. Your exact spend will depend on how much gas and electricity your home uses. 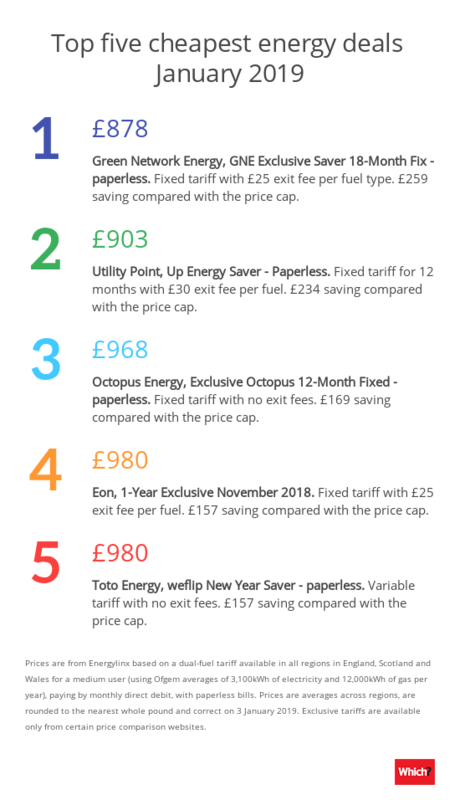 We’ve quoted the annual price of each tariff, plus how much it would save a medium user compared with the price cap (£1,137 per year for a medium user). We’ve used the price cap as a comparison, rather than individual companies’ prices, because many companies are now charging the maximum permitted under the price cap. Three of the cheapest tariffs have exit fees. This means that if you want to switch before the end of the deal, you’ll have to pay a penalty. Utility Point charges £30 per fuel on its Up Energy Saver tariff. Even with an exit fee, you might still be able to save money in future by switching if you find a deal which will save you more than the exit fee. But Octopus Energy’s tariff does not have an exit fee. Toto Energy‘s deal is variable and so can’t charge an exit fee either. There are limited numbers of cheap energy deals available at the moment. Our recent analysis found that there were 90% fewer energy deals costing less than £1,000 per year than a year previously. Ecotricity, Good Energy and Green Energy don’t have to cut the prices of their default tariffs to meet the cap, Ofgem announced on Wednesday. 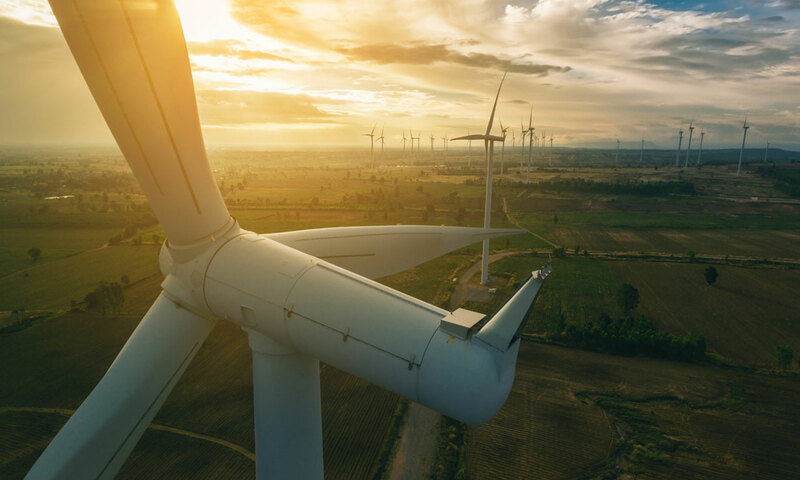 This is because the three firms demonstrated that their tariffs support the generation or production of renewable electricity and gas to a greater extent than energy bought through subsidies, obligations or other industry rules. The cost of supplying energy for these tariffs is also ‘materially greater’ than the maximum charges allowed under the price cap, Ofgem said. Renewable energy tariffs helped contribute to a third of the UK’s electricity coming from renewables in 2018. Wind generated 17% of electricity, solar power 4%, and burning plant material or biomass generated 11%, analysis by climate and energy website Carbon Brief revealed. Price cap £1,137 per year. If you’re a customer of Ecotricity or Good Energy who has not chosen to be on a green tariff (there are a small number, according to Ofgem), then you’ll be transferred to a tariff that meets the cap. The exemption applies until 31 March 2019. Ofgem will announce by 1 March whether it will become permanent. 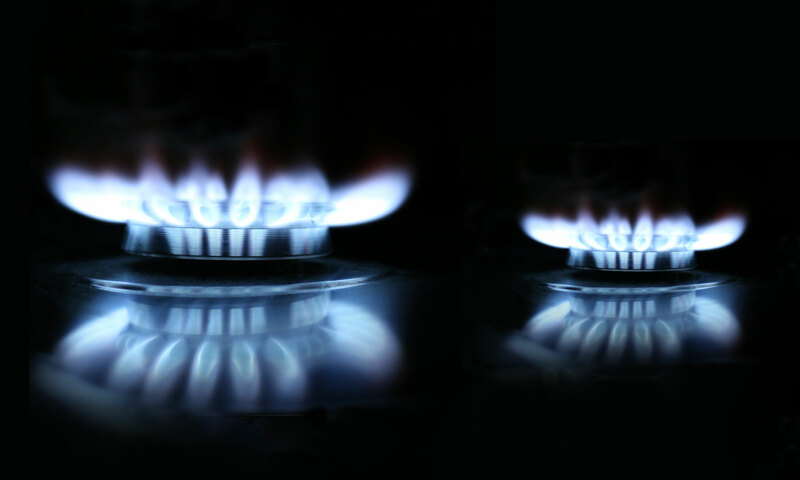 But if price is more important when you’re choosing an energy company, you could save around £256 per year by switching to the cheapest deal on the market (as a medium gas and electricity user). Which? Switch can help you find the best deal for you. Data is from Energylinx. Prices given are averages across regions, are rounded to the nearest whole pound and correct on 3 January 2019.